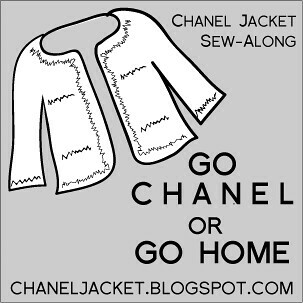 I thought I'd be blogging more, but I can't even think of posting without an original picture to share. Right after the fashion show last month, I went to Carmel, CA for a super-short work trip, came home to celebrate my birthday, and got ready for school to begin. I've got another week of calm before the storm until things get busy with work again, so I will try to photograph my recent projects and post them soon. My husband and I recently got a sneak preview of a pretty super sculpture (@5 tons and many feet tall!) that I can't share with you till it's finished and debuted in a month. It was great to talk with the artist about his inspiration, the themes that tend to guide his work, and his creative process. I've been working with my son on a photo project with his kaleidoscope (which I bought him for my birthday), and put together a cool little photo collage. And just last night I ran across a New York Magazine photo collection of fashion designers and their inspiration for Fall 2010, in one word or one picture. More soon, and Happy Labor Day to my U.S. friends! Louis's photos are astonishing. 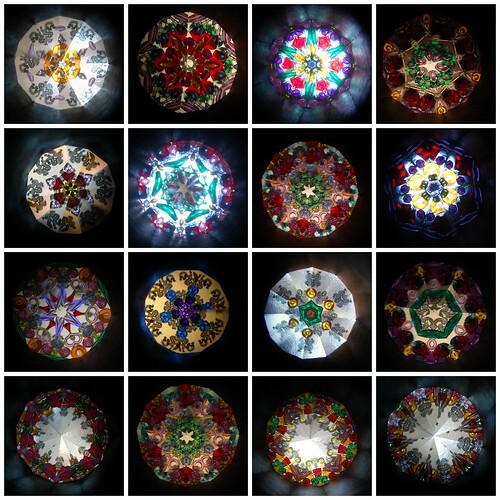 How do you photograph a view within the kaleidoscope? Love the photos and the colors ... can't wait to see what they inspire you to make. Bling is supposed to be over, but that's what those pictures remind me of. I like how you said "which I bought him for my birthday"! Happy belated birthday!! Ooo... kaleidoscopes are fun! Love the picture!